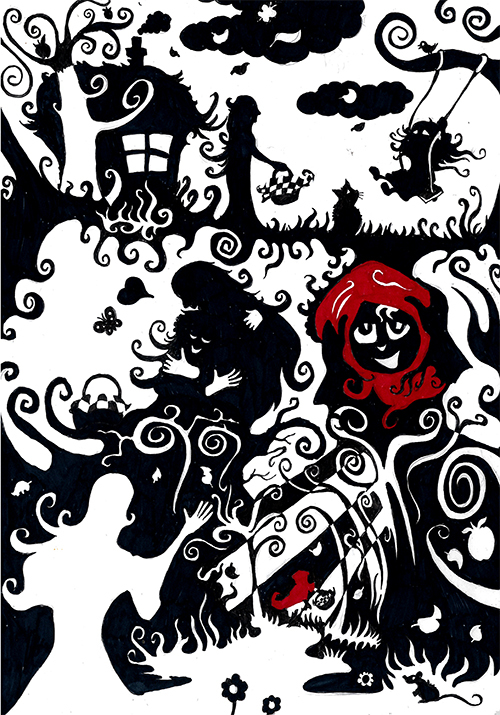 My final Red Riding Hood piece for now. This is close in composition (though it has fewer frames) to the drawing that started my whole ‘silhouette phase’ – a one page story that I drew as a gift. The intention was for a deliberately complex piece in which the frames flowed into each other and worked as a single image as well as a series of elements.